What is Hashimoto disease? How does it affect those diagnosed? Over the past few weeks, Hashimoto disease has received an increased amount of online attention. With public figures and celebrities speaking out about their diagnosis, most recently Gigi Hadid, many people are asking – what exactly is this condition and how does it affect those diagnosed? 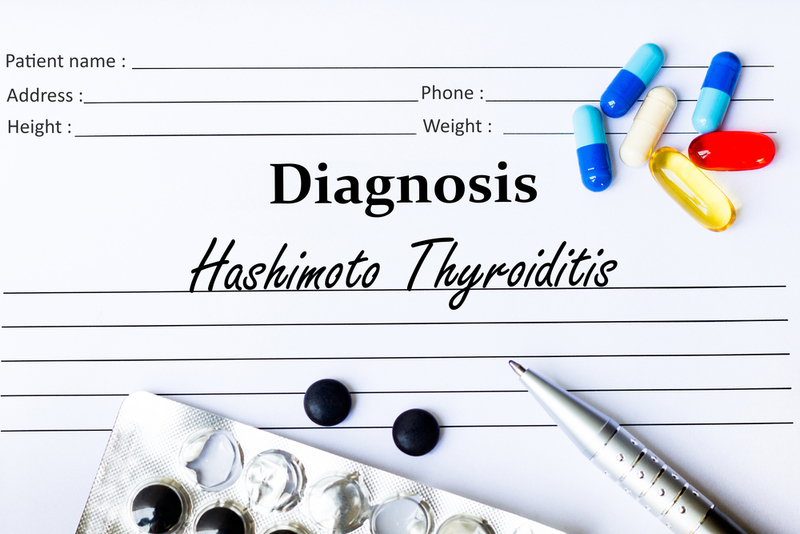 Hashimoto disease is an autoimmune thyroiditis condition caused by antibodies attacking the thyroid gland. When attacked, the gland becomes inflamed, which causes the thyroid to stop making hormones. This can result in an underactive thyroid, also known as hypothyroidism. To better understand our body’s mechanics, thyroid hormones are extremely vital for body regulation. They impact our metabolic rate, heart, and digestive function, muscle control, brain development and bone maintenance1. When deprived of these hormones, the body reacts in a variety of ways. Depression and fatigue, weight gain, constipation, pale or dry skin, hair loss, and/or decreased tolerance of cold environments. Doctors are currently unsure of what causes the immune system to attack your thyroid gland. However, they do know that Hashimoto disease is most common in women, those with a family history of thyroid/autoimmune illnesses, those who currently have another autoimmune disease (e.g. type 1 diabetes or celiac disease) and those who have been exposed to high levels of radiation. If you or someone you know experiences the symptoms listed above, your doctor or physician may test for Hashimoto disease with a hormone or antibody test. Both tests are done by taking a blood test. If the tests come back positive, doctors most often prescribe synthetic hormones to make up for the under-producing thyroid. When the inflammation subsides and the thyroid heals, sometimes the gland will start making thyroid hormones again. If the gland does not recover, the hormones are taken for life (thyroid hormone replacement). Hashimoto disease affects roughly five out of every 100 individuals2, but through proper treatment, the condition can be managed. If you are experiencing any of the symptoms listed above, make an appointment today to visit your doctor to discuss.